Why is this my grade and how can I change it? 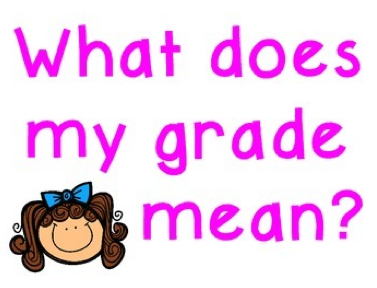 How is your final grade determined? 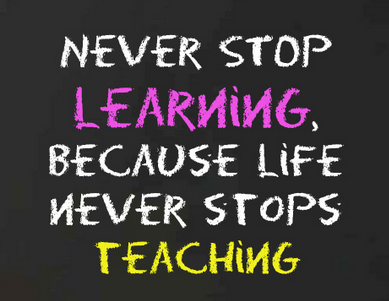 emphasis on the most recent level of learning for each goal - what do you know right now? 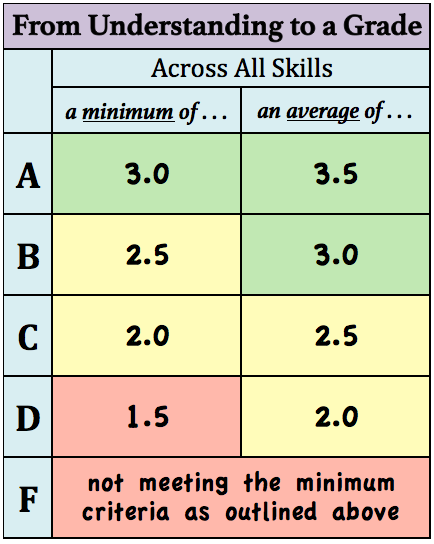 Your level of understanding across all skills and concepts is then used to determine your overall grade for the class. Note - Often, a grade of an F indicates that the student has not demonstrated understanding of at least one learning goal because they have not completed the tasks or assessments needed to show any level of understanding. I failed or got a really low grade earlier in the year, is it too late? Better late than never - it is important for what we are learning to always try to improve, even on older concepts. If you improve your understanding throughout the year, then your grade will reflect that and your earlier report card grades will be updated. Example: Qtr 1-F, Qtr 2-C, Qtr 3-C, Qtr 4-B --> all grades (Q1, Q2, Q3) will be changed to a B.
Mrs. Smith will request a grade change and provide evidence of your improvement all concepts to justify the request. how do i show understanding of a new skill? Am I ready to test my proficiency on a skill for the first time? I AM BELOW A LEVEL 2 ON A CONCEPT AND MY GRADE IS A D OR F, WHAT DO I DO? Make sure you completed PRACTICE tasks. Tasks that demonstrated understanding will receive a 2 on the learning scale and will have a check next to them in the module: review, revise, and resubmit until you reach this goal. I HAVE AT LEAST A 2 ON ALL CONCEPTS AND MY GRADE IS A C, WHAT DO I DO? Complete the DEMONSTRATION OF UNDERSTANDING task. Make sure that earn a 3 on DEMONSTRATION OF UNDERSTANDING tasks: review, revise, and resubmit until you reach this goal. I HAVE AT LEAST A 2.5 ON ALL CONCEPTS, AND MY GRADE IS A B, WHAT DO I DO? listening activities uploaded to practice section; make sure that you earn at least a 3 on this task: review, revise, and resubmit until you reach this goal. 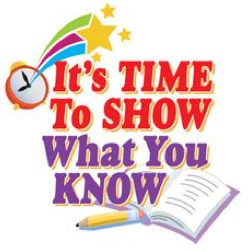 upload audio of you speaking the language to the demonstration of understanding or practice sections; make sure that you earn a 4 on this task: review, revise, and resubmit until you reach this goal. demonstrate ability to use the concept to communicate with Mrs. Smith; make sure that you earn at least a 3 on this task: review and try again until you reach this goal. I AM A LEVEL 3 OR ABOVE on all concepts, What is my next step? If you have demonstrated a high level of proficiency, take the time to periodically review the skills in preparation for future assessments and to make sure the learning sticks.